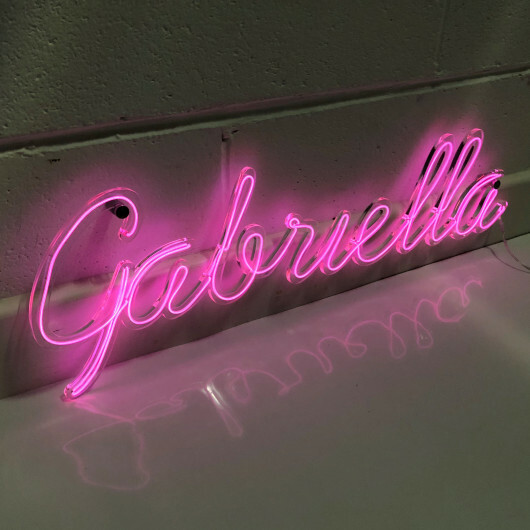 This personalised neon sign is fun and practical. 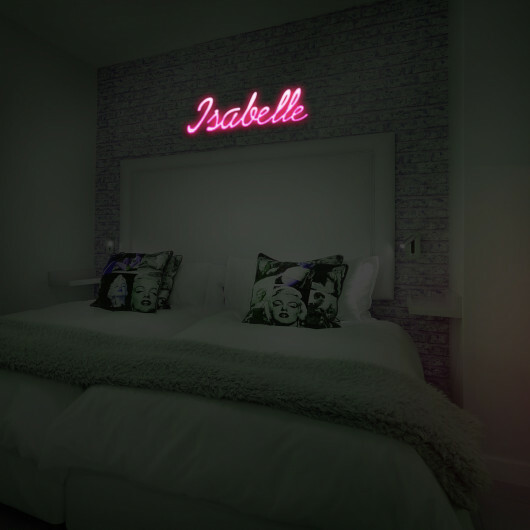 Children will love seeing their name in lights but also the soft glow at bed time. 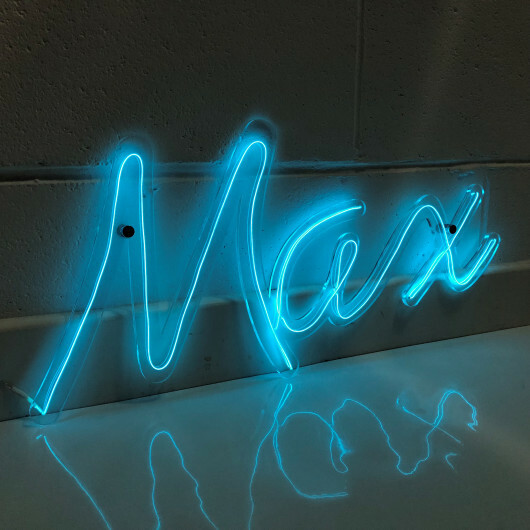 This neon sign is handmade in our workshop, please note this is not the traditional blown neon but a newer more flexible neon light which allows us to create any word or shape. This personalised wedding sign is available in 5 colours, white, pink, red, green and blue. 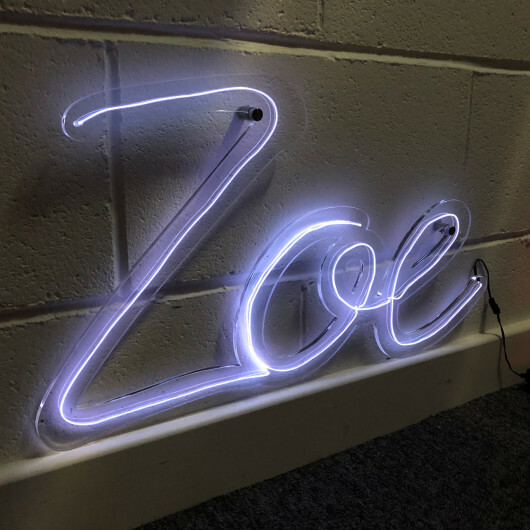 Your sign can be created using white pvc mountboard, which is 10mm thick foam filled sign board cut to shape into the name or for a more traditional clean neon sign look you can opt for the 6 mm clear acrylic which is as shown in the image. 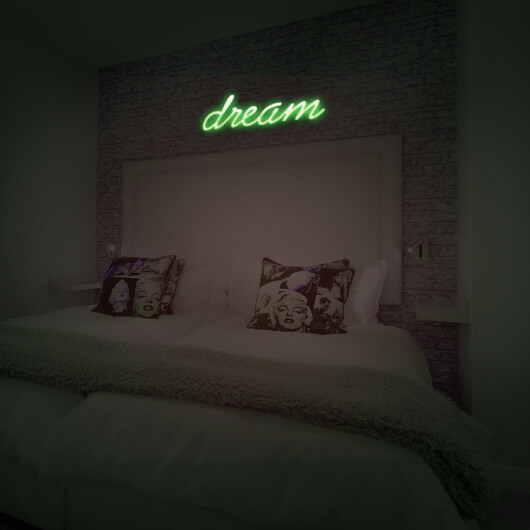 The sign can then be mounted to the wall either by hanging into onto picture tacks or for a more permanent professional finish with chrome stand off wall fixings. If this option is chosen at check out a small additional round piece of acrylic or mountboard will be created and a hole cut for the stand off wall fixing to fit through. 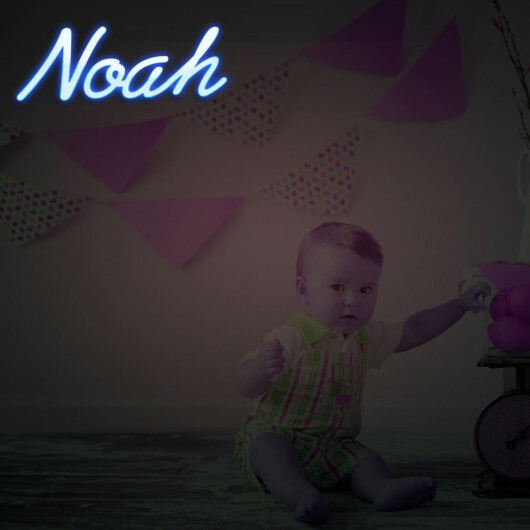 Please note the name is cut out from a 600mm by 400mm sheet so measure slightly smaller than this when cut, whatever the length of your child's name the sign will not measure more than this in height or length. 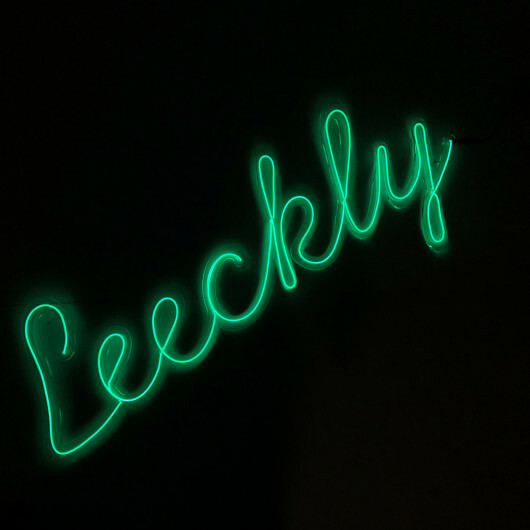 The sign is operated by a small black battery pack as can be seen from the images. 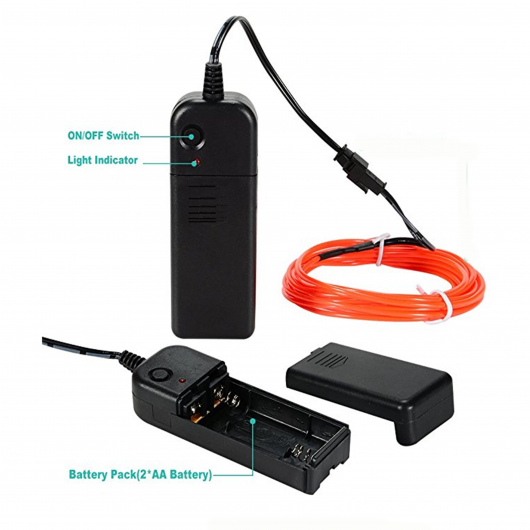 It has a continuous, strobe and blink light function. The batteries can be replaced. Please note when switched on the battery pack does emit a slight whirring sound. This is only noticeable when first switched on. 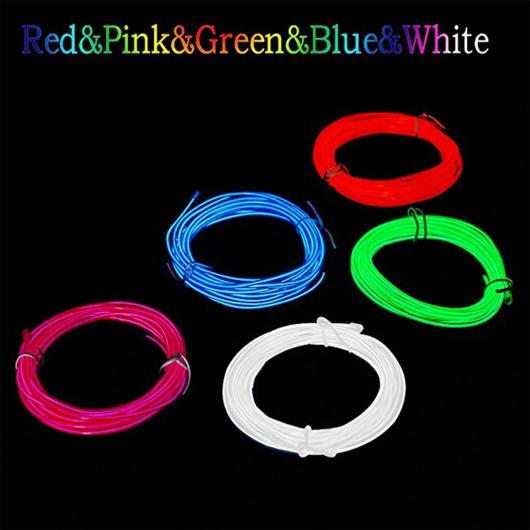 Materials: Acrylic or foam pvc mountboard and EL neon wire. Please note: We would like to make you aware that delivery of this item will be done with DPD on a tracked service, it is likely a signature will be required due to the size of the item, so please make sure someone will be in at the address you are shipping the item to.